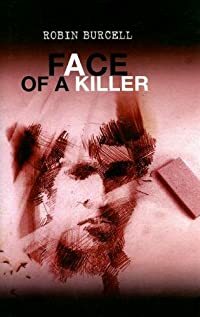 The Face of a Killer by Robin Burcell: Synopsis and Online Purchase Options. Synopsis (from the publisher): FBI forensic artist Sydney Fitzpatrick questions the guilt of the man about to be executed for her father's murder twenty years earlier. The first stirrings of doubt occur when one of her forensic sketches on an unrelated case brings forth memories about her father's homicide that she'd hoped to forget. A mysterious envelope arrives in the mail on the anniversary of her father's death. She opens the packet and discovers a blackmail letter written by her father, an old photo of his army buddies, and a deposit slip from a bank long closed. Refusing to believe that her father was involved in any blackmail scheme, she searches for evidence to clear his name. Her investigation leads to a trail of corruption by high-ranking US political officials, and a meticulous and deadly cover-up by the military and the CIA. The more Special Agent Fitzpatrick digs into her father's past, the more she finds it riddled with dark secrets and truths, including the fact that her father's seemingly ordinary military career was anything but stellar or even routine.